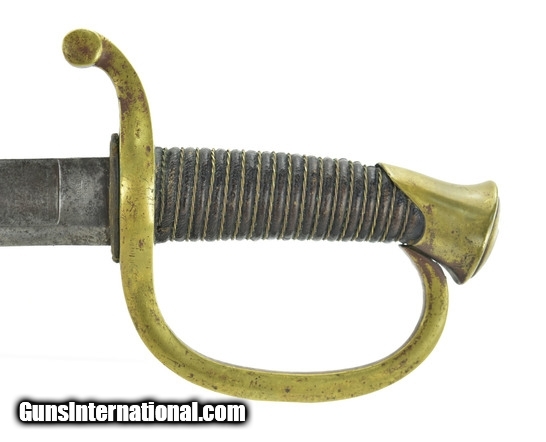 U.S. Model 1840 Artillery Saber. Made in 1861, for the Civil War, by Ames. 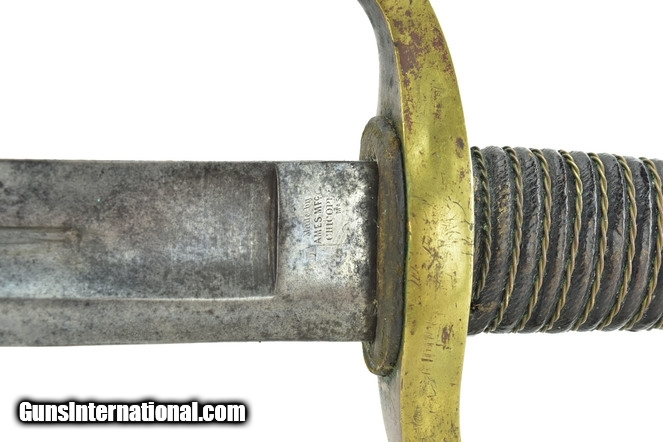 Scabbard is very good, no dents or dings. Ricosso is marked “US ADK 1861” on one side and marked “Made by Ames MFG Chicopee Mass” on other. Wire wrap and leather are intact and excellent. Very good plus condition overall. 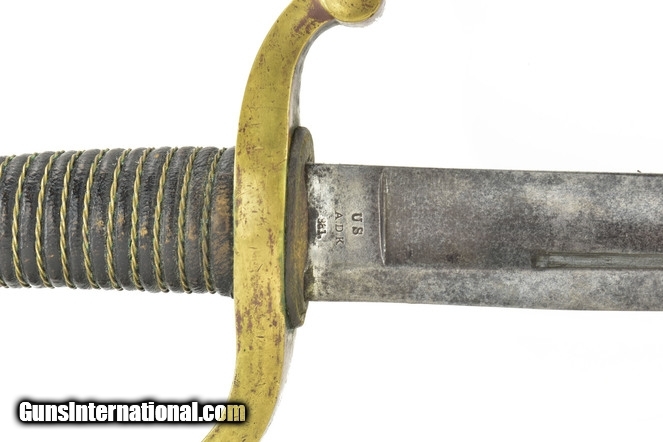 A fine Civil War saber.